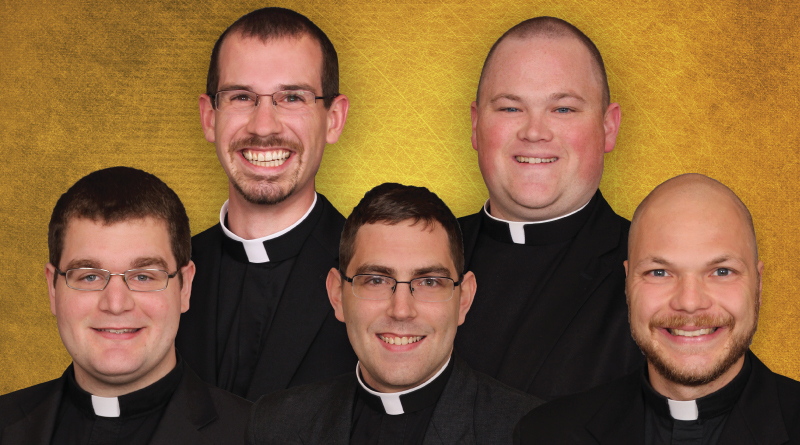 DUBUQUE — After becoming transitional deacons last year, five young men will be ordained to the priesthood May 27 at St. Raphael Cathedral in Dubuque. They shared a bit about themselves through interviews with The Witness. While growing up on his family’s farm near Garnavillo, Austin Wilker developed a passion for stargazing and dreamed of one day becoming an astronomer. But in college, as he came to realize God willed something else for his life, he shifted his sights from the stars to the priesthood. “In high school, I was starting to get involved in my parish choir (at St. Joseph’s in Garnavillo), and the deacon and his wife noticed that I was becoming more interested in liturgy and invited me to consider that I had a vocation to the priesthood,” said Wilker, a 2008 graduate of Clayton Ridge High School in Guttenberg. He reached out to the priest on campus and to the deacon who had initially invited him to consider a call to the priesthood to begin a conversation that eventually resulted in him transferring to Loras College to enter the undergraduate seminary program there. After graduating from Loras in 2013, Wilker studied theology at Mundelein Seminary in Mundelein, Illinois. He was ordained a transitional deacon in 2016 and graduated from seminary this May. Deacon Wilker said some of his favorite memories of his formation experience are the trips he and his fellow seminarians took to France and especially to the Holy Land. “Being able to walk in the footsteps of Christ and so many devout members of the faith has been inspiring and humbling,” he said. 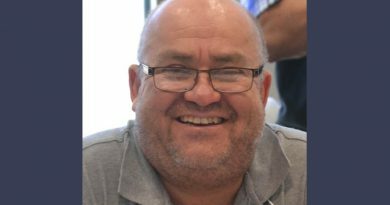 Deacon Wilker is the son of Wes and Joanne Wilker and has a sister, Tina, who has Down syndrome; a brother, Joe; and two nieces, Morgan and Brooke. Deacon Wilker said St. Dominic, whose name he chose for confirmation, is one of his favorite saints and has inspired him throughout his life. He said he has also developed a great appreciation for Mary and has found himself drawn to her since his trip to the Holy Land last year. Father Joel McNeil, the pastor of the Newman Center at Drake who helped him discern whether to enter seminary, and Father David Schatz, the vocations director for the archdiocese, are two priests Deacon Wilker said have been especially influential to him on his journey toward ordination. As his ordination now draws near, Deacon Wilker said he is getting increasingly excited about the day itself and about the ministry that will follow. “I’ve been looking forward to this day for a while now, so to have it be only weeks away is thrilling,” he said. “I had a great experience this past summer ministering as a deacon, and it only makes me look forward to what is to come in my priestly ministry. The native of Floyd, whose home parish is Immaculate Conception in Charles City, didn’t always realize he was being called to the priesthood. 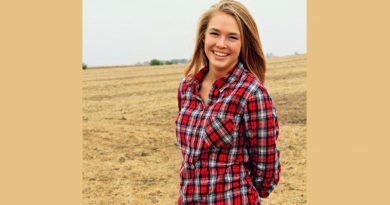 After graduating from Charles City High School in 2006, Marr enrolled in Riverland Community College in Austin, Minnesota, before transferring to Iowa State University in Ames and then to the University of South Dakota in Vermillion, South Dakota. He transferred to Loras College in Dubuque and graduated from there in 2012. The following year, he began his studies at Mundelein Seminary in Mundelein, Illinois, a suburb of Chicago. He and his classmates were ordained transitional deacons on May 27, 2016. They graduated from Mundelein earlier this May. Deacon Marr said as he looks back at his formation experience, his favorite part was the nine weeks he and his fellow seminarians spent studying in the Holy Land in 2016. “It was the best experience, just being in the place where Christ walked,” he said. Deacon Marr is the son of David and Tami Marr, a retired farm business manager at Riverland Community College and an accountant at a co-op in Osage, respectively. Deacon Marr has one brother, one sister and a 4-year-old niece named ­Naomi. Some of his favorite hobbies include board games and photography. Two saints in particular have made a significant impact on the development of his spirituality, Deacon Marr said — St. Thérèse of Lisieux and St. John Vianney, the patron saint of parish priests. He also considers Msgr. Stanley Hayek, a retired priest of the Archdiocese of Du­buque, to have been a major influence in his life. Msgr. Hayek was the pastor of Immaculate Conception Parish in Charles City when Deacon Marr was growing up. “He was and is a great example of what it means to be a priest,” he said. God and faith had always been important to Kevin Earleywine, but as he was growing up, this cradle Catholic became frustrated with the lack of engagement by young people in the church; the only people he knew who took their faith seriously were his non-Catholic Christian friends. 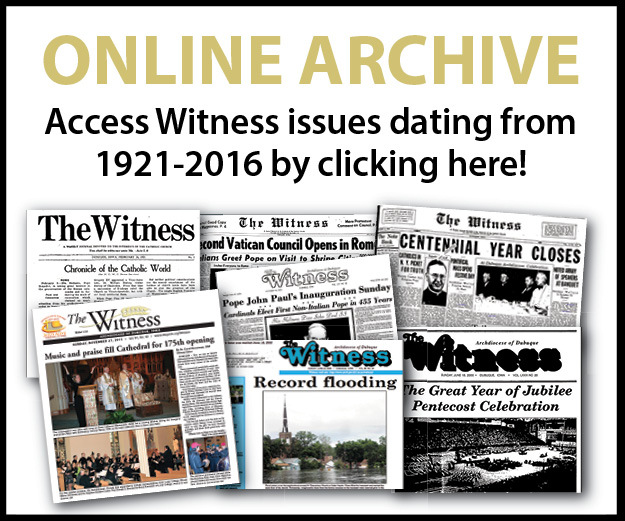 But then he went to ­Loras College, where Earleywine discovered not only other young Catholics passionate about the faith, but also his own vocation to the priesthood. “It was here (at Loras) for the first time that I met several young people my age who were ‘on fire’ Christians who were also Catholic — a mind-blowing concept to me!” he said of the vibrant Catholic community he encountered at the college. At Loras, he also learned about Catholic theology and the Catholic intellectual tradition and became familiar with figures such as Augustine, Thomas Merton, Fulton Sheen, Flannery O’Connor, Mother Teresa and Dorothy Day. During his time at Loras, Earleywine also went on a life-changing service trip to Chicago, his first experience with urban poverty. “It impacted my life very profoundly, igniting in me a great desire to use my life and gifts to serve the poor and work for justice in the world,” he said. After two years at Loras, Earleywine entered the college’s undergraduate St. Pius X Seminary program, graduating in 2012. He went on to study theology at Mundelein Seminary in Mundelein, Illinois. In February of 2014, Earleywine decided to leave seminary to discern the possibility of a more intentional life with the poor in the form of religious life. That fall he joined the Franciscans of the Eucharist of Chicago, but the following year he discerned that God was calling him to return to diocesan life, and he went back to seminary formation. He was ordained a transitional deacon in 2016 and graduated from Mundelein Seminary earlier this May. The 26-year-old Earleywine is the fourth of Steve and Kathy Earleywine’s five children. He and his siblings — Matthew, Mark, Kate and David — grew up on their family’s farm near Brodhead, Wisconsin. His brother Matthew is married, and he and his wife, Theresa, have two boys, Jeremiah and Daniel. In his spare time, Deacon Earleywine has a wide variety of interests: reading, music, movies, games, engaging in good conversation, running, hiking, playing ultimate Frisbee, even making fruit smoothies. He said several priests have been influential to him on his road to the priesthood, including Father John Haugen, who was the chaplain at Loras when he first arrived on campus; Father Greg Ihm, who served as a chaplain at a camp he worked at in Wisconsin; Father David Schatz, vocations director for the archdiocese; Father William Joensen, who served as his spirit­ual director; Father Larry Bakke of his home parish — St. Rose of Lima in Brodhead; and Father Dustin Vu, the pastor of St. John XXIII Parish in Cedar Rapids where he did his pastoral internship. He said he is looking forward as a priest to being able to teach people about Christ and help them discover how much God loves them and bring them into relationship with him. At a time when many boys are dreaming of becoming firefighters or professional athletes, Ralph Davis was already focusing his attention on a vocation to the priesthood. Deacon Davis grew up as a member of Immaculate Conception Parish in Gilbertville with his parents, Kevin and Sue, and his two sisters. The couple recognized that their son may have a calling to serve God in a special way and did what they could to encourage it. “We had our priest over for dinner once a month,” remembered the young man. Having that regular contact with pastors showed Deacon Davis that priests were human beings, “not just the guy at church.” Fathers James Secora and Rick Dagit had a positive influence. 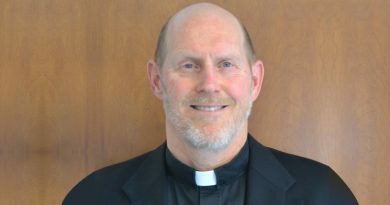 After graduating from Immaculate Conception Elementary School and then Don Bosco High School in 2009, Deacon Davis moved on to Loras College where he entered St. Pius X Seminary, located on campus. Following graduation in 2013 with a bachelor’s degree in philosophy, Deacon Davis earned a Master of Divinity degree from Mundelein Seminary in Illinois. Deacon Davis is now very close to his lifelong dream of becoming a priest. “The biggest thing I’m looking forward to is to be able to celebrate Mass,” he said. Aside from his family members and pastors, Deacon Davis says St. Ignatius of Loyola (1491-1556), the founder of the Jesuit order, has had a beneficial impact on his development. The former soldier who, with the assistance of friends, started the Society of Jesus, is famous for developing spiritual exercises that continue to help people today. Deacon Davis said the saint’s approach to the spiritual life meshes well with his way of thinking. In his spare time, the deacon is a fan of baseball. (The Chicago White Sox are his favorite team.) He also follows NASCAR racing and has fun playing board games with friends. Deacon Davis maintains an optimistic outlook, a quality that others have noticed. “I’ve had a lot of people say there’s never a time I don’t smile,” he reflected. As the major milestone of ordination approaches, Deacon Davis said he appreciates and would like to thank all those who have assisted him through eight years of formation with cards, letters, prayers and material support. Dennis Conway’s road to the priesthood began with an earnest evaluation of his priorities. Deacon Conway was born in Alabama, but has spent most of his life in Cedar Rapids after his family moved there when he was 6. He, his parents and younger sister are members of All Saints Parish. A graduate of Xavier High School, Deacon Conway spent one year at Marquette University in Wisconsin, before enrolling in St. Pius X Seminary. He continued his education at the Pontifical North American College in Rome, studying at the Pontifical Gregorian University. Long before beginning priestly formation, he had the blessing of knowing deeply committed Catholics. Deacon Conway enjoys music and theater, including lighting and sound work. He also likes cooking, skiing and playing the piano. The lives of St. Ignatius of Loyola and St. Gregory the Illuminator, the evangelist to Armenia, have inspired the 26-year-old on his spiritual journey. “I strongly believe the faith changes us and has to be shared, and those saints exemplified that for me,” he said. Deacon Conway is feeling a bit of nervousness and a lot of excitement.